For over 25 years, our firm has been successfully helping families and business owners plan for their future. Our practice is based on a collaborative approach which values and requires the integration of our client’s multiple professional advisors, namely CPAs and Attorneys, to ensure the successful implementation of client’s taxes, legal and financial planning. With licenses as both an Attorney and a Certified Financial Planner®, Chief Executive Officer W. Ryan Zenk offers clients a holistic approach not offered by most firms that ensures the effectiveness of his client’s estate plans. Whether you would like to create an estate plan for the first time, or simply like your existing documents reviewed, we welcome you to take advantage of the legal services our firm offers. If you have any questions, or would like to schedule a free consultation, please do not hesitate to contact our firm. Our attorneys are experts in the areas of Estate and Asset Protection Planning to achieve results for our clients not typical among other firms. 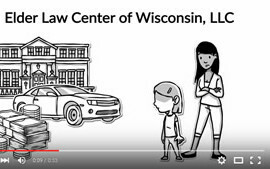 W. Ryan Zenk is a practicing Attorney with Elder Law Center of WI, LLC located in Wisconsin. 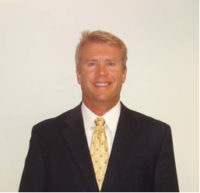 He is also a Certified Financial Planner™ and the Chief Executive Officer and founder of the investment advisory firm Family Wealth Advisors, LLC with offices in Wisconsin and Arizona, as well as a Co-founder of Veteran’s Benefits, Inc.
Mr. Zenk received his undergraduate and law degrees from the University of Wisconsin-Madison. He is the author of Your Life Your Legacy – a Book on Estate Planning. He is member of the National Academy of Elder Law Attorneys, The Probate and Trust division of the Wisconsin Bar, The Elder Law Committee of the Wisconsin Bar and the Milwaukee Bar Association. Mr. Zenk is a frequent speaker to professional and business groups, public and private, on the topics of estate planning, asset protection planning and successful investment strategies. 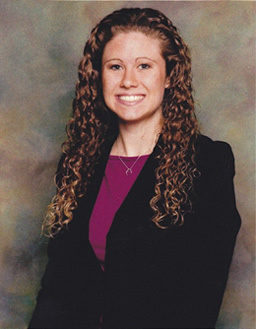 Melissa Robe is an associate attorney with Elder Law Center of WI, LLC. 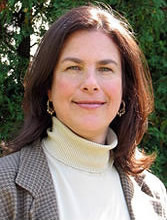 She has a background in estate planning, estate and trust administration, probate, tax & business law. Mrs. Robe received two undergraduate degrees in Political Science & International Studies with an emphasis on Global Economy, and a law degree with curricular concentrations in estate planning & criminal law, from the University of Wisconsin-Madison. Mrs. Robe is also actively involved in charitable efforts as a justice advocate at a non-profit organization in downtown Milwaukee. She has previously worked in state government, including the state legislature. 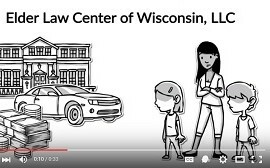 Tara is an Elder Law Paralegal that has been working with Elder Law Center of WI, LLC since August 2013. She received her Paralegal Bachelor degree from Minnesota State University Moorhead. After 20 years working in both Acute Care Hospitals and Long Term Care Facilities, Barbara Horstmeyer realized that her experience and knowledge was valuable to families attempting to navigate the confusing and often disconnected medical health care system. Adding to the confusion was a lack of understanding of the financial impact on families along with the legal implications. In 1999, Barbara launched the Senior Planning Group as the first and only Life-care Planning Firm in Wisconsin. For almost 20 years she has assisted families whose loved ones either have had an acute health care change or have a chronic health care need. She understand first hand the stress caregivers face when caring for an elderly parent or loved one. She takes this role seriously because there isn’t time to waste or mistakes to be made when life, health, finances and legal questions are pressing. Barbara is a past member of the Board of Directors of the Southeastern Wisconsin End of Life Coalition , Interfaith Caregivers of Washington County and Supportive Community Services, Inc. in Milwaukee. She sits on the Alzheimer’s Challenging Behaviors Task Force with the Alzheimer’s Association of Southeastern Wisconsin and is an active member of the Milwaukee & Waukesha County Adult Protective Services Interdisciplinary team. In her free time Barbara enjoys gardening, hiking, and spending time with her husband, three children, grandchildren and dogs. Our clients thank us for showing them options they didn’t even know existed! Our favorite part is being able to serve many clients’ families and friends because of their satisfaction of what we have done to help them. Clients tell us they are finally able to sleep at night and the worry is gone because they are able to stay in control and, they are confident if something happens to them, what they want will happen, not what the government or other outside source wants. Let our experience support you and your family, whatever your need is. You will be surprised at the options you have and how simple it can be.